Use our 6" green spoons to add color to your deli bar. Made from PLA plastic. 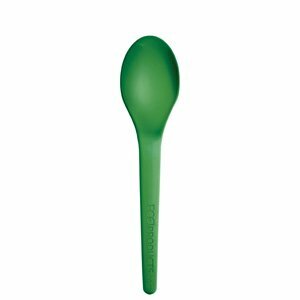 Scoop up some green with our new green colored Eco-Friendly spoons.